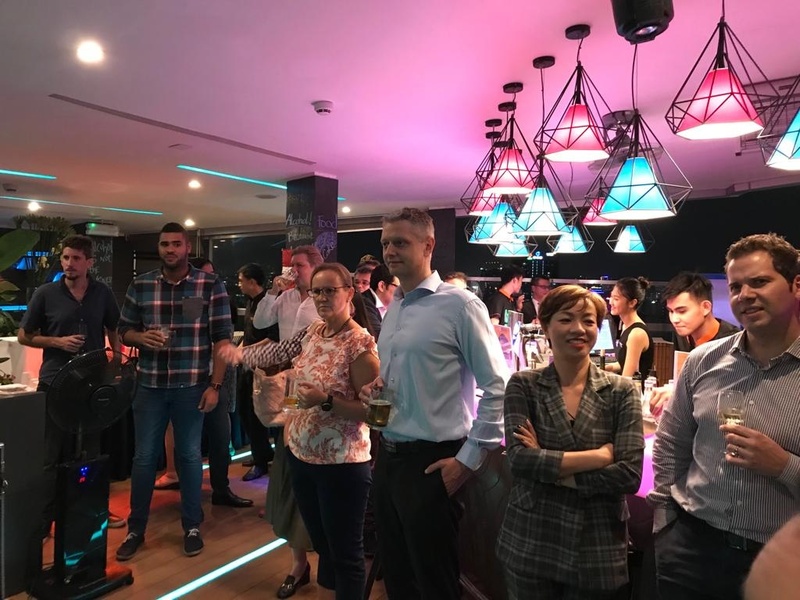 In November 2018, Nordcham Vietnam brought to its members and community two Get-together events, one in Hanoi and another in HCMC. 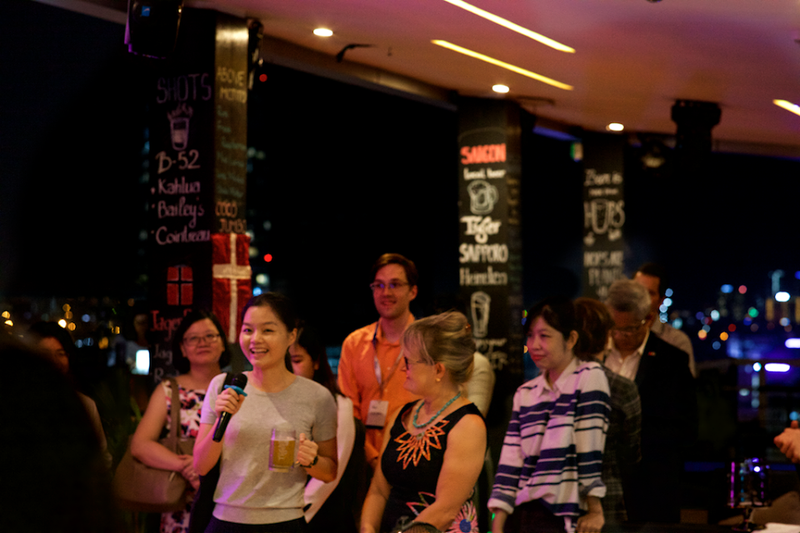 The event in Hanoi took place on November 7th on the terrace of The Republic, Tay Ho, with sponsorship from Danmon Asia. At the event, Nordcham chairman Mr. Soren Pedersen was excited to tell Nordcham members and Nordic friends about the successful 20th Anniversary of Nordcham and invited them to the upcoming EuroCham Gala dinner. 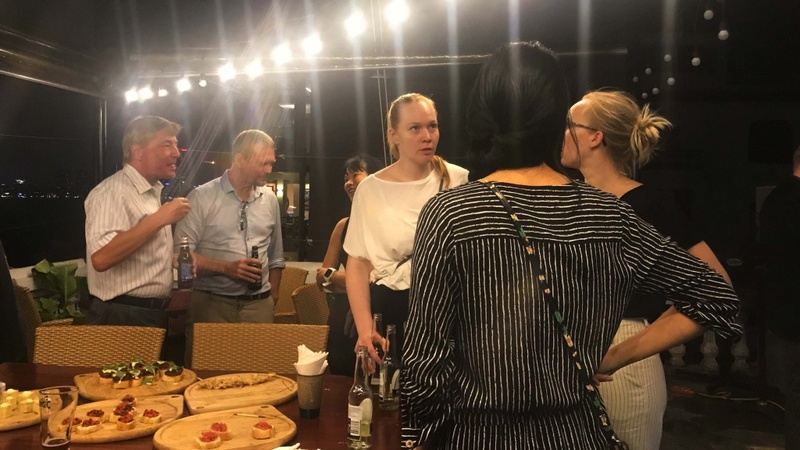 He also shared about the plan on gathering Nordic alumni, which is expected to bring huge benefits for Nordcham members and Nordic community. 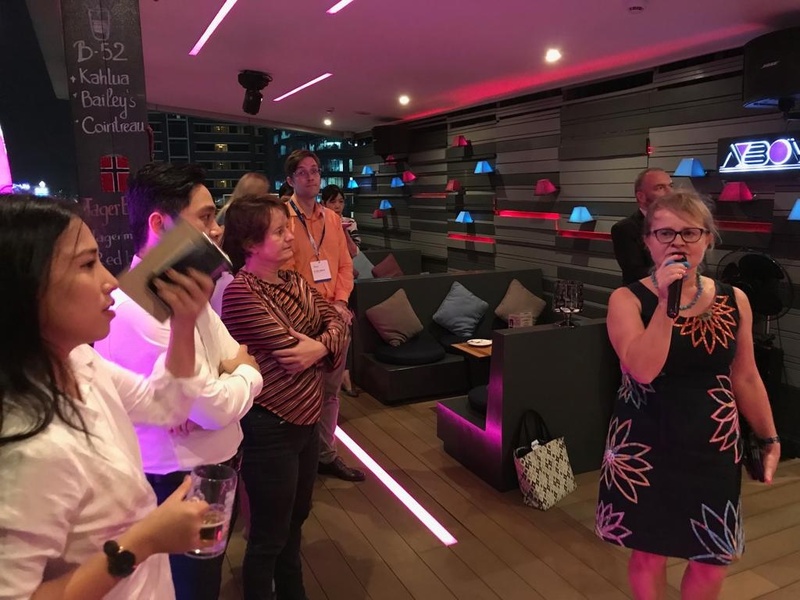 Another fascinating news was updated to participants at the event by Mrs. Stine Cooper from Danish School Association, that is the Nordic Christmas Party in Hanoi on December 1st, co-hosted by Nordcham. More information can be found here. 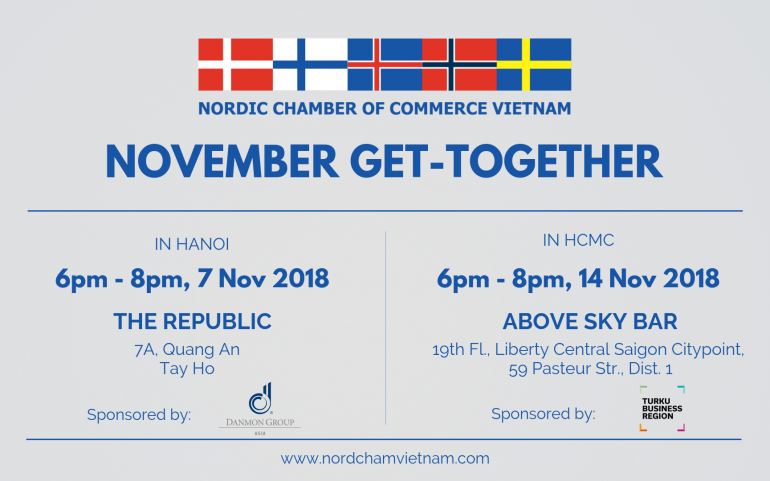 In the following week, on November 14th, there was the Get-together with Nordcham in HCMC at Above Sky Bar, rooftop of Liberty Saigon City Point. 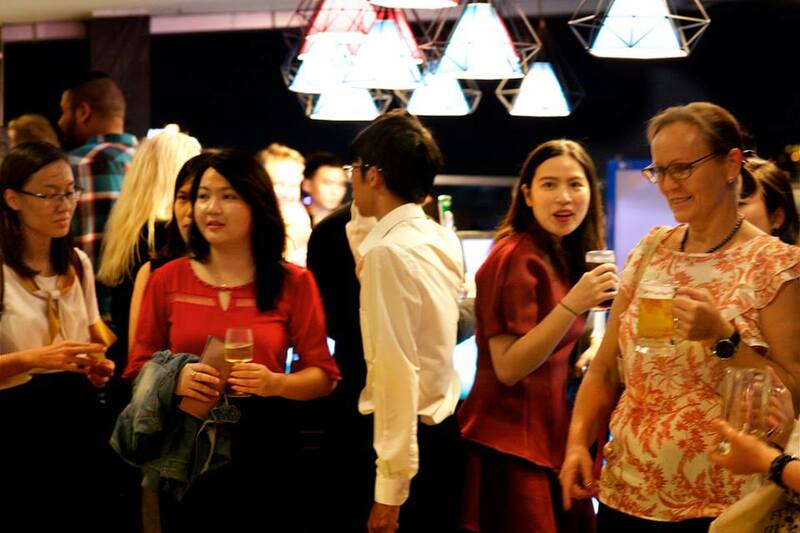 The event was sponsored by a Finnish company, Turku Business Region and supported by Finnish Alumni network, attracted up to 90 participants. 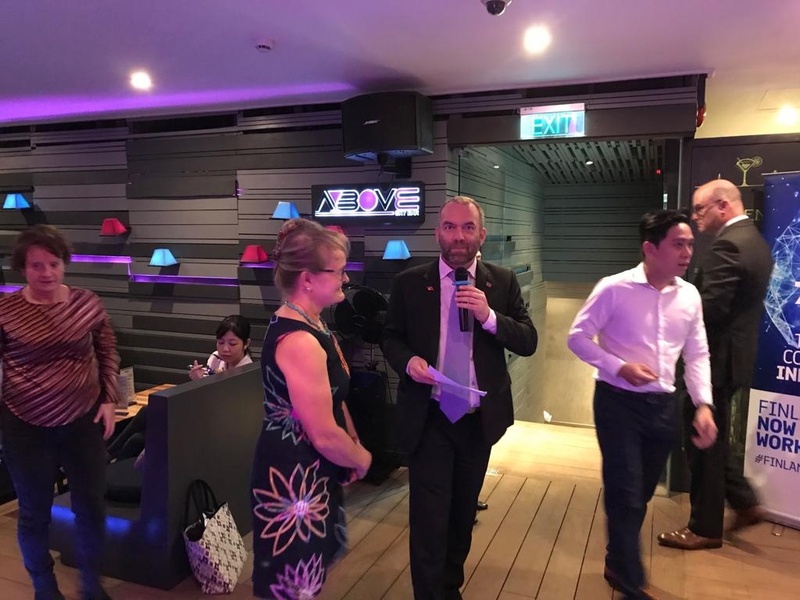 During the event, Mr. Thomas Jakobsen on behalf of Nordcham welcomed all the participants and gave update about Nordcham and EuroCham activities, highlighted Nordcham/Amcham Christmas lunch on December 15th in HCMC. 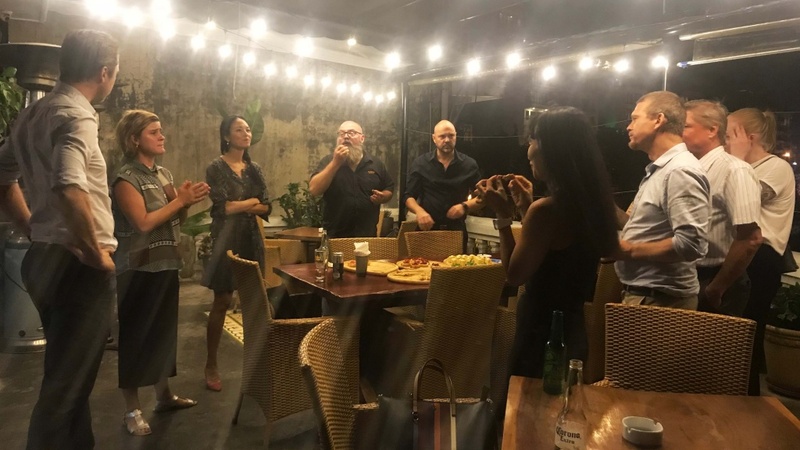 From Business Finland and Finnish Alumni, Mrs. Eija Tynkkynen briefly introduced their network and activities in Vietnam.